Addison Moore: Skyla goes to HOLLYWOOD!!! *Update* The option has expired but the series is being shopped again. I'm hoping for all good things! 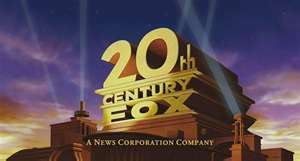 20th CENTURY FOX PURCHASES OPTION FOR CELESTRA FILM RIGHTS!!! I am so honored and thrilled to announce that 20th CENTURY FOX has optioned FILM RIGHTS to the Celestra Series with the intent of turning it into a TV SERIES!!!!!! In July, I received a call from my literary agent, extraordinaire, Rachelle Gardner who informed me that 20th Century Fox was interested in FILM RIGHTS!!! I was completely blown away. Rachelle quickly procured highly coveted film agent Joel Gotler (I LOVE that man!) who handled all the details and made sure my fairytale came true. -->Oscar, Emmy, Golden Globe award winning, Executive Producer Stephen Gaghan of SYRIANA and TRAFFIC fame is championing the project!! !<--- AMAZING, right?!!!! I’m so glad that after many, many months of celebrating in silence, and happy dancing in the dark, I’m able to share this great news with you. So, on behalf of Skyla, Logan, and Gage, well, OK, Marshall, too, thank you for reading and sharing in this happy, happy news. Oh my gosh! Does happy dance! CONGRATS!! This is just amazing news, and I am so incredibly happy for you!!! There are no words to exclaim how excited I am for you! This is AWESOME! I stayed up just for this! Can't wait to see my fav characters on the screen! Yay! I'm so happy for you! Congratulations! I'm so happy for you! The Celestra series is perfect for tv, as a film or even a series of films would not do the books justice. Tweeted my excitement already, but I'm positively giddy for you! Well done, lovely! You're an inspiration to us all. Can't wait to see it on screen! I hope that they do an amazing job on the series... I'm anticipating actor/actress choices the most, hehe. Addison, I'm so happy for you. Whoot!!! That is truly amazing news! Congrats!! Hahaha! YES! I totally called it! I cannot wait to hear more news about it! This is so cool! You published Ethereal, an less than a year later, you sell the movie rights! Way to go, Addison! INCREDIBLE news, Addison! You must be walking on air. Congratulations to you!!! Did I say movie rights? I ment TV Rights. My fingers typed something different from what my brain saw. Hahaha. Anyways, congrats! That Is amazing! Love it and congrats! Congrats! That's awesome. And I can't wait for it! Sarra Cannon - Thanks Sarra! I'm sooo happy that I can finally share. And thanx for the twitter luv. Angela Carlie - Thanks girl!!!! It's been a while but I'm still in shock if you can believe it, lol! said... - Aw, that's so nice of you to say. Honestly I'm just so thrilled they'd even consider it. Thank you for the kind sentiments about my books! K.C. King - Thanx and thanx for tweeting! I'm just so thrilled to be able to share. Writing is such a lonely effort- it's nice to have writers and readers to share the journey with. Ally - I know, right? My head has been wrapped around all kinds of crazy things- like who could play these characters, lol! Too fun. Thank you! RaShelle Workman - Thanx RaShelle! And thank you for the FB luv, too! Autumn Dickinson - Thank you, Autumn! I really can't thank you enough for your support right from the beginning. You have truly shared this journey with me! Logan Rutherford - LOL! Yes you did! I'm glad I can finally affirm your theory. As for Celestra plot lines, I'll have to let you wait those out to see if you were right. Or if in fact Skyla does end up with Logan. ;) HUGE thank you for your continued support! Mary Khoshi - I can't thank you enough, Mary. I really want you to know how much I appreciate your support. BIG thank you for the FB/ twitter luv and I'm just speechless at the kind words you have about my writing. ~Thank you~ again. haleyeliseread - Haley, I feel exactly that way. Thank you!!!! J.A. Templeton - Yes! Walking on air is right! And the air is sweeter, too. Thank you! Brandon Alston _ Thank you so much Brandon! I always enjoy hearing from you! Thanx for the tweets and please stop by again. It's really nice to see you around! lisanowak - TY Lisa! Ack! Too exciting!! ShawnaLeAnn - TY!!!! And I totally agree, freaking amazing. I'm still humbled and stunned. *crosses fingers* that we'll be watching it soon! Jaclyn Beith - Thank you, Jaclyn! It's been quite a ride right from the beginning. I, for one, am thrilled that miracles still happen. darkrose - Huge, massive, enormous thank you~! I appreciate your enthusiasm! Konstanz Silverbow - Thank you! I can't wait to share more news as I hear it!! I'm looking forward to an awesome adventure. A big congratulations on your success! How very awesome for you! Well done! Epic!!!!!!!!!!! Word escape how happy I am for you.... And it will be a show I will actually fight tooth and nail for my town to show!!!! Or I will buy foxtel or austar (never thought I would say thoses words). Again mate Congratulations. They picked the best story. Huge congrats, Addison! I'm so happy/thrilled/excited for you. OMG! Totally not surprised, but sooo happy for you! Well..and for me, and everyone who gets to watch it! Yay! Congrats, Addison, that's so awesome!! How totally awesome and well-deserved. I'm so happy for you! I seriously started screaming as soon a I saw the 20th century fox image! I am looking forward to this now and i hope they hurry up with it! I can't stand the excitement!! and congratulations! You and the books totally deserve this! SWEET! What well deserved and amazing news! Congratulations! OMG Addison!!! That is so beyond awesomely cool!! So excited for you!! That is amazing!!!! Congratulations!!!! All your hardwork and dedication clearly paid off and you're definitely getting what you and the characters deserve!! Absolutely fantastic!! Congrats!! This is such amazing news for you (and for us!!!) - I've always had an imaginary movie reel going in my head while reading these books - so it will be great to see how someone "Hollywood" interprets the books and puts them on the screen - I can't wait! Hooray for you!! That's wonderful news! I will most definitely give this tv series a shot...love the books!!!!!!! Omigosh! Amazing! Congrats! The books are wonderful, and deserves to be seen on screen as well! Congrats! What wonderful news! So excited to get to enjoy these books again on television. This has been my favorite series to read! No matter what I am reading when a new book comes out, I stop to read that one. Hoping the tv can come close to being as good as the books are. OMG Addison! Congrats - that's like a dream come true. So happy for you. So awesome! Couldn't be happier for you, and myself! haha. Because I'm going to be able to watch it!!!! Best news ever! Truly amazing! Would love t hear the behind the scenes story someday, on how you got here. So happy to be able to celebrate with you! CONGRATS, Addison! I'm not surprised -- the series is brilliant! Oh please oh please make sure that someone blonde and fabulous plays Skyla! <3 Can't wait! Holy COW, I'm so excited for you!!! You are amazing!! Did you ever IMAGINE this would happen when you self-pubbed that first novel? So what does this mean?? What are the chances that it will actually be a show? How long do you have to wait? Do you have any input at all? I can't wait to hear more! I'm extremely excited about the series. I just hope the studio execs remain true to the books. T Vampire Diaries, The Secret Circle and especially True Blood have strayed so far from the books the only thing they have in common is the title and character names. Every now and then something seems familiar but then goes off track. (And how am I not following this blog? Oh, I think I know how I got tripped up, but anyway, I'm here now. Got wind and had to show up w/ my big Woot Woot). Your characters are going to Hollywood! Lady, you know I'm over the moon about this (and a little jealous, but I'll squash that bad boy and let the over the moon part shine brighter). That is so beyond wonderful! Congrats. Congratulations!!! Be sure to celebrate! Tamie - thank you so much Tamie! I thought it was rather epic myself ;) And I hope it does show in your town! Karen Amanda Hooper - LOL I love the celestial cupcake part, serious yum TY! Alyssia - Aw, thank you! I felt the same way and I'm still in disbelief. Yes, what a rush. Shannon Duffy - That's so nice of you to say. I was totally surprised, lol! I can't wait. Tori.B - I LOVE your enthusiasm!!!!!!! BTW, I may have screamed a little, too. G. P. Ching - Thank you! I was dying to share!!! Krista B. - That's how I feel when I write! I really need it to play out in my mind so I can write it. Kelly Hashway Thank you, Kelly! I'm thrilled to finally get to share it! A. McBay - TY! I really cannot wait to see the interpretation of books! TammCramer - Super huge thank you for the kind words about my writing! I hope all goes well and we both get tot see it! Ann Herrick - I feel the same. So glad I could share this with you! Ang - Yay! I'm glad you feel that way. TY! Elle Strauss - And I'd love to share. Thanx Elle! franklycreative - Thank you! Can't wait to share the rest of the journey! Heather Sunseri - Thank you Heather!!! I'm beyond~ thrilled. Katie Ganshert - Who could ever imagine??? Thank you girl! sharrel57 - I guess I don't have that big of a say, but it will certainly be interesting to find out! TY! Seagull - LOL about the 3-D= awesome. Congratulations! How many rights to the story do you get to keep? Is it going to look anything like your book when they're done with it? Wendy Paine Miller - SO over the moon. ;) I heart you so. Susan Oloier - Thank you, Susan! I'll try to give details as I get them! Courtney Walsh - Thanx Courtney! Absolutely every writers dream. I'm humbled. Connie Keller - Thanx Connie! I haven't stopped celebrating for months. My husband might wish I would stop just a little, lol! This is AMAZING news!!! I knew it would be something awesome like this!!! I read your blog last night and just started smiling and giggling and my husband thought I was insane!! You def. deserve this, and I can't wait to see Paragon come to life!! That's TERRIFIC news! Good for you =D I couldn't be more pleased for you!!! How on Earth did you keep that a secret?!?! This is absolutely wonderful news! You have my heartfelt congratulations! Congratulations Addison! I am so excited for you and so happy you are finally able to share this news with us. Congratulations, Addison! What an amazing thing to have happen! WHOO HOO!!!! This is thrilling, thrilling news, and I am so happy for you!!!!! Congratulations! So happy for the praise and recognition books are getting. Fuzzyslippers - Thank you! I cannot wait to see Paragon myself. :) And, BTW, you weren't alone in your giggling, I was right there with you! Thanks for sharing in my good news. Krista Phillips - Oh Krista, how I've missed you! I hope all is well in your world. Amazing is just the tip of the iceberg. Tamara Rose Blodgett - Thank you so much Tamara! I really did have a terrible time keeping it under wraps! Little Miss Priss - It was an impossible effort! lol. Thank you! Cindy M Hogan - Seriously, right?? Thank you so much for stopping by! Keli Gwyn - Hi Kelly! I still have that sign you gave me and love how it speaks to me. Thank you so very much for stopping by and sharing in my special day. Amy Jones - Hi Amy! I cannot thank you enough for your continued support. I love that we're in this together. :) I'm so thrilled you stopped by!! TY! Ali cross - I know, right??? aahhh! Danetra - Hi girl! *waves* I am super thrilled and relieved to finally spill. I'm so glad I can share it with you! YAY!!! Erin - Thank you! My sentiments exactly! PJ Hoover - Thank you girl!!!! And thank you for all the cyber shout outs. Much appreciated!!! That is fantastic new! I am very excited for you and can't wait to see the results. Also can't wait for the next book! Rasberryswrlgirl - Thanx!!! EXPEL is going well, still plugging away at edits. I made the job twice as hard by making the book twice as big. congrats to you Addison on your amazing news! You can count on me to be sitting and watching every week!!! Congrats on the HUGE news!!!! Stina Lindenblatt - Stina!!! I'm so excited to finally be able to share. Thank you! Absolutely amazing news for an amazing story! I will be watching for sure! That is wonderful news! I'm celebrating with you!!!! Erica Vetsch - Erica!!! Thank you for celebrating with me. I so appreciate your support. We've been holding our breath for months, waiting for the "epic news", so it feels good to finally exhale lol. I heard that there's another popular Angel/Nephilim series that's been optioned, but the Celestra Series is so much better than all other YA PNR so I hope it hits the airwaves by the Fall. I can't even imagine what it feels like to have an island and cast of characters you created on your own, turn into a book series loved by thousands, and now a show that will be watched by millions. Congratulations that is Awesome. You soooo deserve it. Your books are incredable. I lost lots and lots of sleep over them. ;) You truly deserve this and can not wait to see the shows. Amber J. Thank you! I'm so happy to share with you. All those moths of hints, and hoping to share, finally came to fruition. I do feel blessed. Well put! P.T. Michelle - Thanks girl! I'm thrilled to share it. I hope all goes well. I am beyond happy about this! I finished all 5 books in a matter of 1 week! I love them! When is Expel coming out? And when is the show supposed to air? I will definitely be addicted to the show and will watch non stop! Keep makin these books! They're wonderful! Can not wait to watch this! I read all 5 books in a matter of days and can't wait for the next one. Congrats!! MariahLeah - SUPER BIG thank you for the book love! I'm so glad you loved the books enough to move onto the next in the series in such rapid succession! I don't have any info on the series, but when it comes I'll be putting it out. I hope you'll drop by my FB page and check out my Tuesday teasers of EXPEL and EPHEMERAL. I hope you enjoy them! crystalf - Ack I love hearing that! You are another one of my super readers! That impresses the heck out me. I'm humbled you spent time in Paragon. Thank you! I hope you'll pop in more often and please check out the teasers on my FB page for EXPEl and EPHEMERAL. The link to my FB is on the sidebar. Thanks again! OH WOW! This is the most awesome news EVER! You deserve it! This would make a WONDERFUL TV series. Congrats Addison Moore!!! hi!!!!!!!!!!!!! i just wanted to know when your new book expel will be out i have told all my friends to read your books too. Ciara - Thank you so much for the shout out to your friends!!!! I can't tell you how much I appreciate word of mouth. EXPEL is in edits. I wrote it a little longer than VEX so it qualifies for the biggest book of the series and it also translates into way more edits. But, edits are going smoothly so far! I'm hopeful for another month or so. :) Have you checked out the EXPEL/ EPHEMERAL teasers on FB yet? There's a link to my FB page here on the left if you're interested. Thank you for stopping by and please encourage your friends to stop by as well! So exciting! I can't wait to see Skyla in action. Congrats it is well deserved. Amanda Vega - Thank you! I can't wait to see Skyla and the boys getting in trouble on the island. I'm very much looking forward to the adventure. I'll keep the blog posted with details. Thank you for reading the books Amanda! This SOOOO is awesome! I just hope they stay true to the characters!!! And they capture Gage's eyes correctly!! I will deff be tuning in... I just hope they do not make the same mistakes they did when they make other books into movies / and TV series... Keep them in Check Addison!! Please! 3Willows Photography - Thank you! I think it's pretty awesome, too. ;) LOL about capturing Gage's eyes correctly. I honestly would love to be a fly on the wall during that casting call! Hey Addison I'm SO excited about the T.V series. I was given a kindle 4 christmas and I started reading your books. I was blown away. Yeah I cant wait to see who they cast 4 Gage and also Logan. But i have one question will it be coming to Australian TV? cause i reeeeally wanna see it!!! And i cant wait to read expel, the way you ended vex was heaps good and now i wanna read more!!!! Heather B - Thank you! And thank you for taking a chance on my books with your brand new Kindle! Congrats on that. I swear, my e-reader is the best device I ever received. I'm dying to see who they cast as well. It will be interesting. I'm really hoping to be there when they do, I'd love to sit and watch a steady stream of Gage, or Logan lookalikes trying out for the part. As for where it will air, I have no clue. But hopefully one day when and if it does, it will be near you! And if not, I guess there's always the internet. ;) Thank you again for reading my books! Check out my Tuesday teasers over at FB if you like. The link is here to the left. Enjoy! This is really fantastic news, except we have no tv :-( I guess I'll have to keep reading and hope for Netflix streaming on my PC ;-) Congratulations! Yeah i have read the tuesday teasers. Cant get enough of them !!!! And yeah i will most certainly watch them on the internet if it doesn't air here :) i hope it does though! reklaw0329 - Thank you! And, yes, the Internet! Heather B - Oh, good! I'm glad you're enjoying the teasers. And I hope it airs there, too. I'm happy for you. I've added this post to my own blog. Oh that's is so awesome! I some how missed this news. I knew the minute I read the first book I thought it should be a tv series. GroundedSouls - Wow, thank you! I'm pretty thrilled. I hope to see it come to fruition soon! FallSpice - Aw, thank you! As soon as I get any news on the Fox front I will report back and tell all. I really hope you'll enjoy EXPEL!!! Thank you so much for reading! I must give a huuuuge "thank you" to you, Addison Moore. Your books give me something to look forward to in the realm of literary pleasures. I fell in love with the characters instantly and I am stoked to be able to watch them unfold on T.V. That said, I would love to see Liam Hemsworth (with his dark hair that he had in The Hunger Games) as Gage and Chord Overstreet as Logan. Yummy!! And I would love to play Chloe hahaha She's so rotten! Tori -TY! So am I! I'm going to dig around for info and see where they're at. I seriously need to see the real life Logan and Gage!! Andrea @The Bookish Babes - Thank you Andrea!! I'm super excited! Congratulations!! that is so exciting, cnt wait to see who plays the parts! OMG! For real?! Congratulations Addison! Imma be waiting for it. Love these books when will the last book of the Celestra series called Elysian be coming out on kindle? It says 2013 but no date and can't wait for the tv series it will be amazing! Yup, going to Hollywood after i Graduate to make this happen... I will help get this on the road in anyway I can- working on this film would be a DREAM! Are there any further developments on this?? I so can't wait! OMG! So exited! When will it come out? Is this still in the works? I ahvent heard of any updates in quite a while. I hope so. Gosh I sooo Love this Book! Can't wait to see this on television! That is awesome! Congrats can't wait t see it. Indelibles Blog Hop- Win a Kindle Fire!